Shop Local, Buy Local isn’t just a trend, it’s a way of life within our region. From delicious eats to sweet treats and satisfying drinks, Ontario’s Southwest offers some of the best around. All aboard to Apple Land Station! 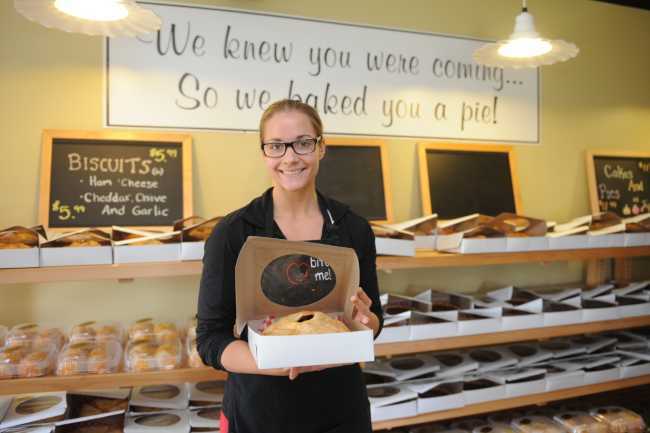 Located in Middlesex County just outside of London, this is the perfect place to get farm fresh produce, ginormous, unforgettable pies that remind you of crisp fall days and create memories aboard the famous L-Train. Take a trip to spend the afternoon or just stop by their quaint country store to pick up your favourites – the smiling faces and delicious smells will welcome you with open arms year round. A short detour off of the 401 lands you at Chocolatea, a goodie haven. 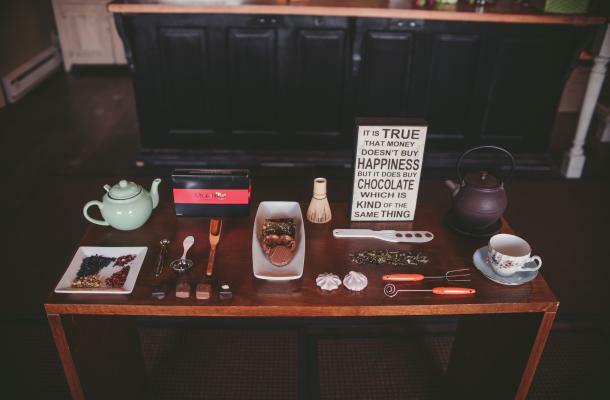 A small town shop specializing in handcrafted – artisanal chocolates and ethically traded teas, this is the perfect location to grab a sweet treat for you and your friends, if you can manage to share! Keep this place in your back pocket and make sure you don’t miss out on all of the amazing, unique flavours they have to offer. Ontario’s Southwest is a region full of agricultural secrets. Don’t miss out on The Fruit Wagon, a unique location located in Harrow, just outside of Windsor. Stop by for some of the freshest local produce “on the wagon” grown right there in their large family farm. Meet the Balsillie’s to make great local connections and get a feel for the heart that goes into everything they do. Nothing is better than going straight to the source so make sure to pay them a visit this season. 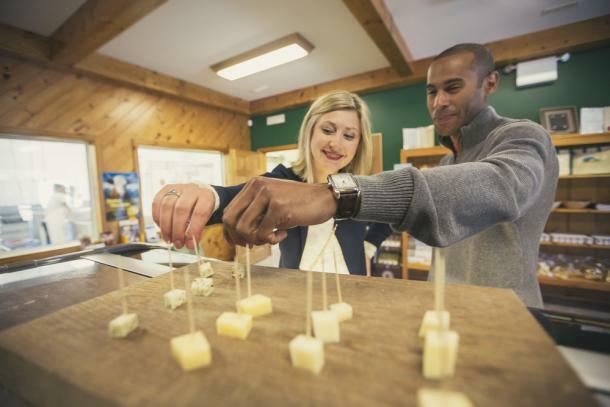 Situated within Oxford County’s Cheese Trail, Gunn’s Hill Artisan Cheese is influenced by traditional Swiss cheese making and promises a dairy dream each time. With 15 various kinds of cheese to choose from and gift baskets galore you won’t be able to resist trying them all. This delicious dairy will become a staple in your home and you won’t be able to turn back – we warned you! Staying true to their namesake, Railway City Brewing Company is located within the Railway City itself – St. Thomas. This craft brewery handcrafts each beer to ensure it brings pride to their local community. From mainline brews to seasonal and limited edition flavours, this is the perfect place to take a taste of some of Elgin&apos;s favourites. Their onsite store gives visitors the opportunity to take any of their flavours home for a relaxing night in or day with friends. Honey is natures candy and makes a delicious topping on a scoop of cold ice cream. 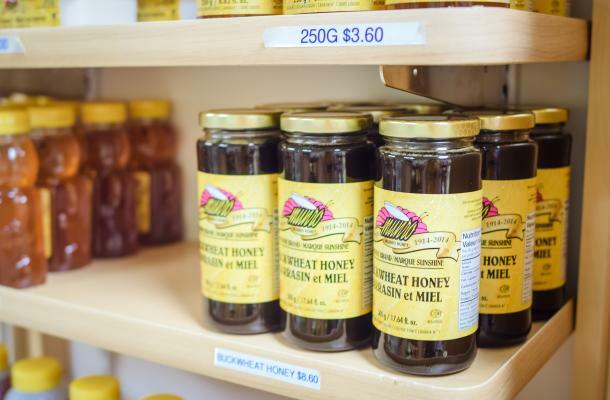 This season, on your way home from a family favourite, Grand Bend Beach, stop by Munro Honey and Meadery to pick up some honey from the heart. If you’re looking for a yummy alternative to your favourite patio drink, grab a bottle of their in-house Mead – a wine made from honey! Whether you’re seeking a sugarbush during our long winter months or craving a sweet maple kick year round, Richardson’s Farm and Market will treat you to your favourites. 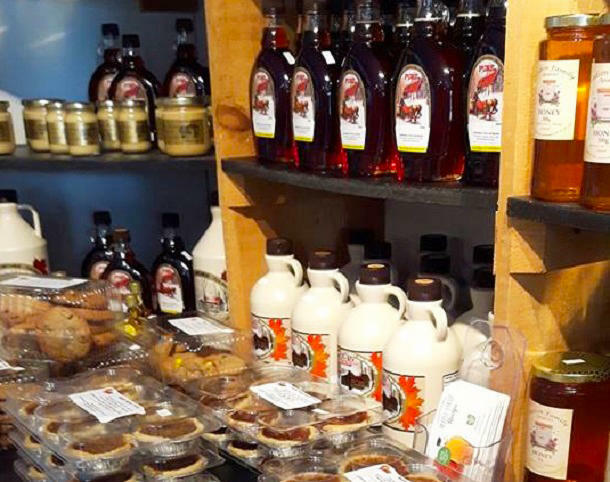 From fresh Ontario produce to their family maple syrup, stop by and pick up a piece of Haldimand County to bring home. To learn more about all of these great stops, or to plan some more shopping adventures, visit the Next Stop: Taste series!